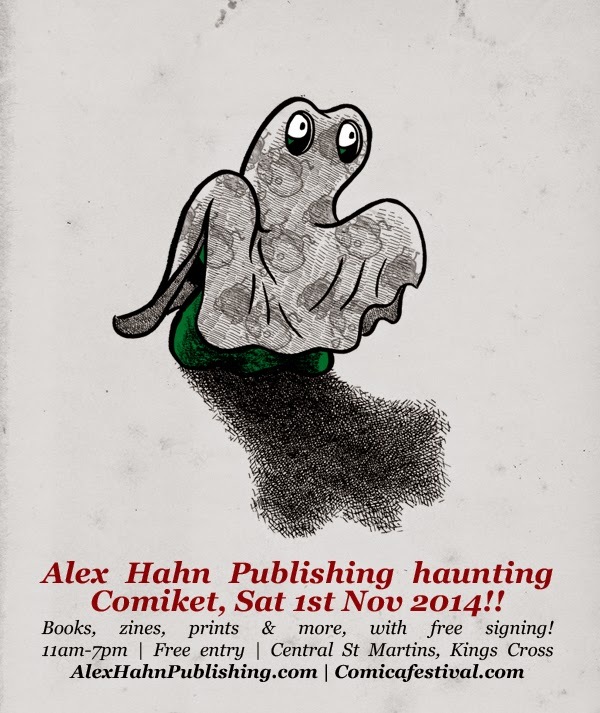 Alex Hahn Publishing returns to Comiket on Saturday November 1st for a whole day of selling books, prints and more. Part of the Comica festival 2014. Alex will be sharing a table with the lovely Elizabeth Querstret, who will also have a great selection of books for sale. If you can't make it, most of the books are available from Alex's Etsy store.